There are a lot of things, items, and details to be considered if you are to host a party. You need to consider a lot of aspects as well in terms of how the party will look like, the events that will transpire within the party, and how people who will attend the party will react about the things that you have prepared for them. 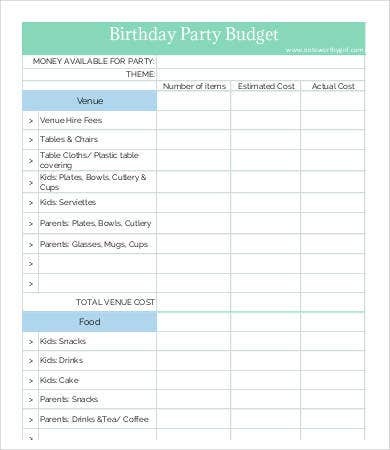 One thing to make sure that you are on track of all the things that you are planning to do is to create a party budget. You may write it based on what you think are the needs of your party. 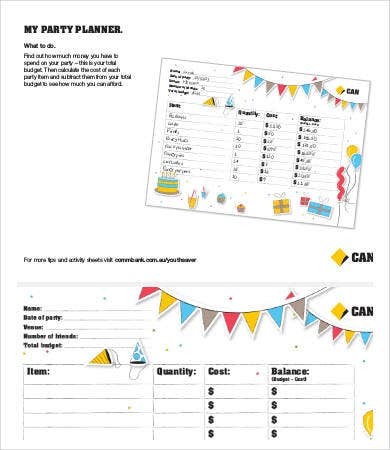 For your job to be easier, download our Budget Template and use it as a guide in creating your party budget. Knowing the amount of money that you are willing to spend for the party is the best way to start the party planning process. 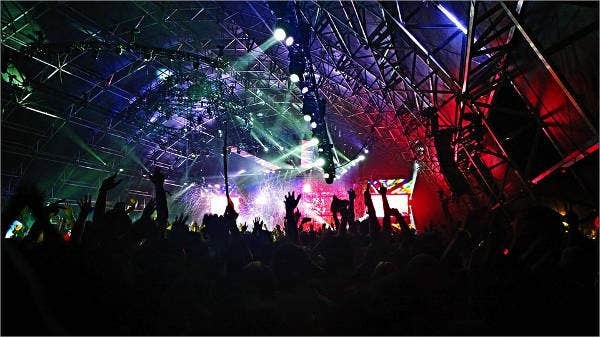 The amount to be allotted for a party to occur varies especially on the kind of party that will happen. The more guests invited, the more activities you plan to have, and the more people you hire to get involved in the planning process, the more you spend. 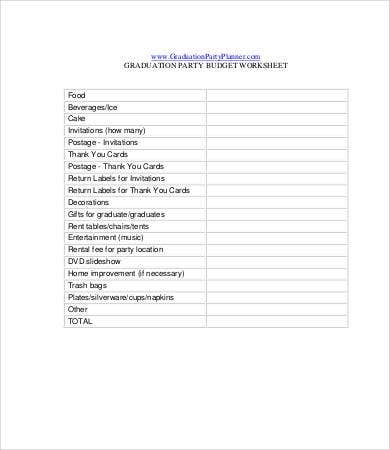 A party budget is needed to be planned ahead of time so you know how much you are willing to spend for a specific party item or program. 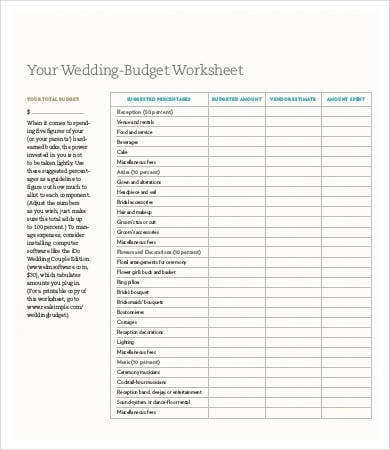 You may rank them according to how much you need them and if the budget you’ve planned is not enough, you can remove the items that are not of most importance or you can also think of cheaper alternatives or sources of party materials and/or services. You may download our Excel Budget Template and use it as a reference. 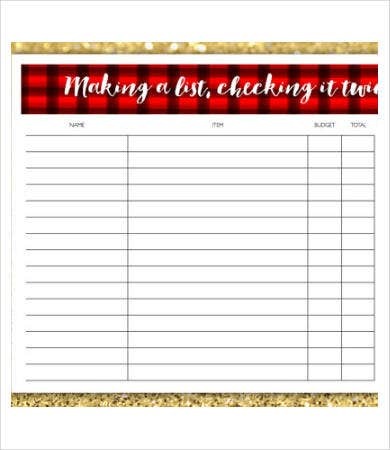 You can download a different kind of budgeting template as well. 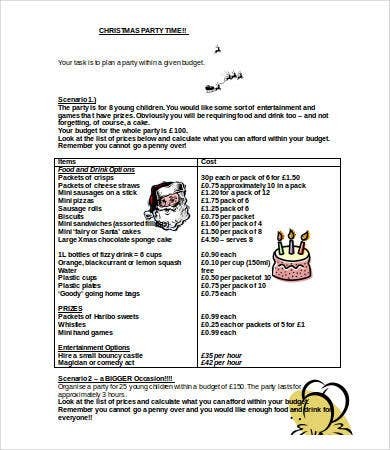 You may look at our Weekly Budget Template and try if it works for you as much as our party budget template does. 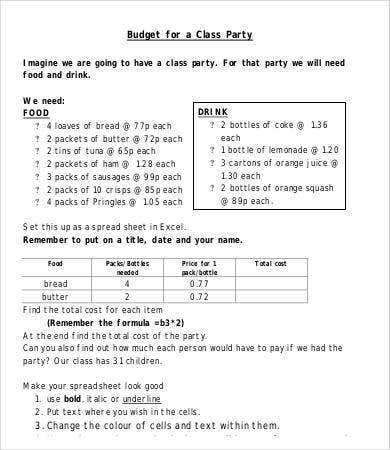 What Is normally in a Party Budget? See? These are only basics and they are already a lot. 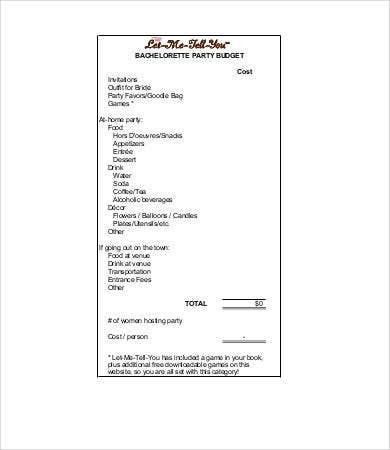 This is the main reason why it is truly needed for every party planner may it be an organization or a private individual to have a party budget planner and checklist before making any other plans about a party. 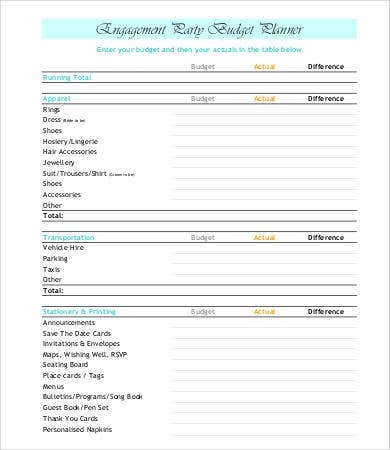 Aside from party budget templates, you may also download our Monthly Budget Template and use it for the specific purpose that it may serve.